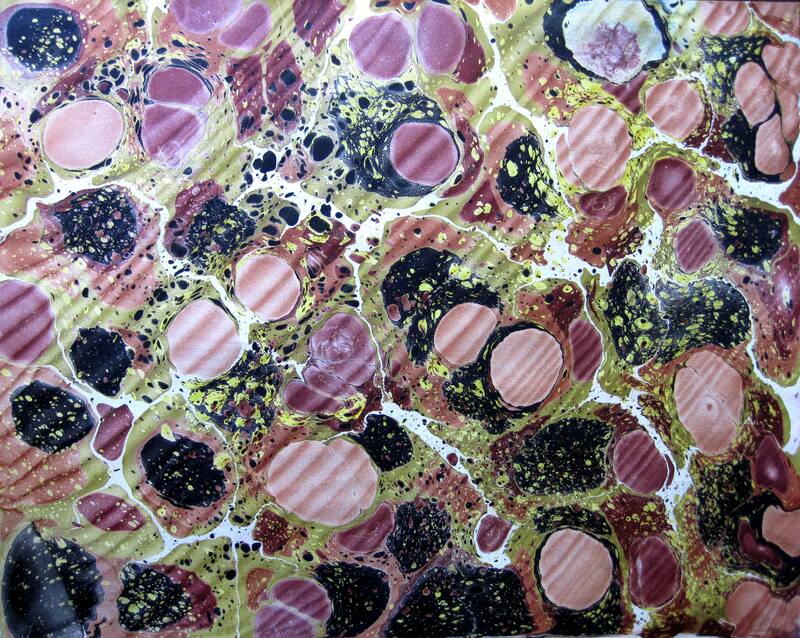 After attending a workshop taught by Sally Power last August, I had the privilege of marbling for many blissful hours again at the Minnesota Center for the Book Arts last Saturday. No matter how experienced you are, the confluence of several unknown factors (the surface movements of your carrageenan, the viscosity and chemical composition of your liquid acrylic/water mix, the humidity of the environs) makes for unexpected results. 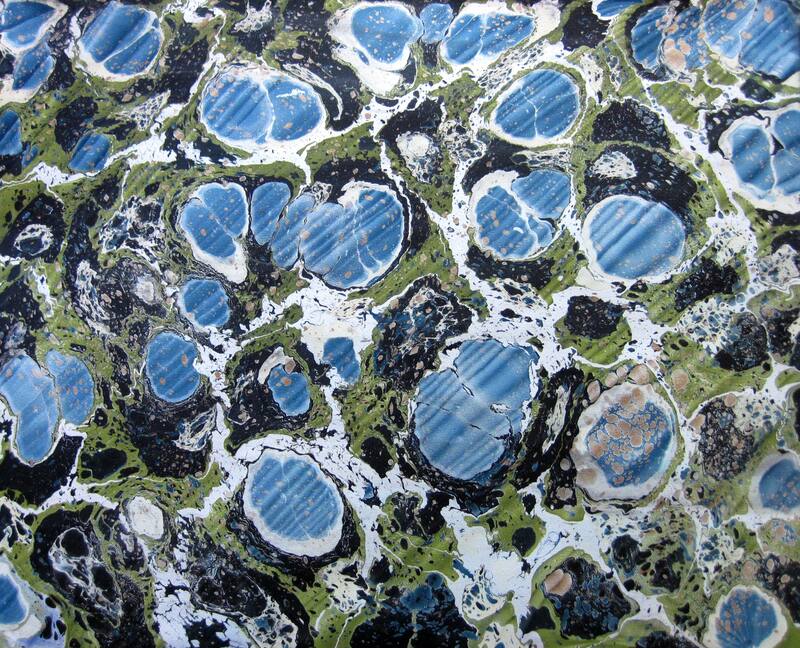 Marbling requires the dual forces of extreme attention to detail and surrender to blind chance. 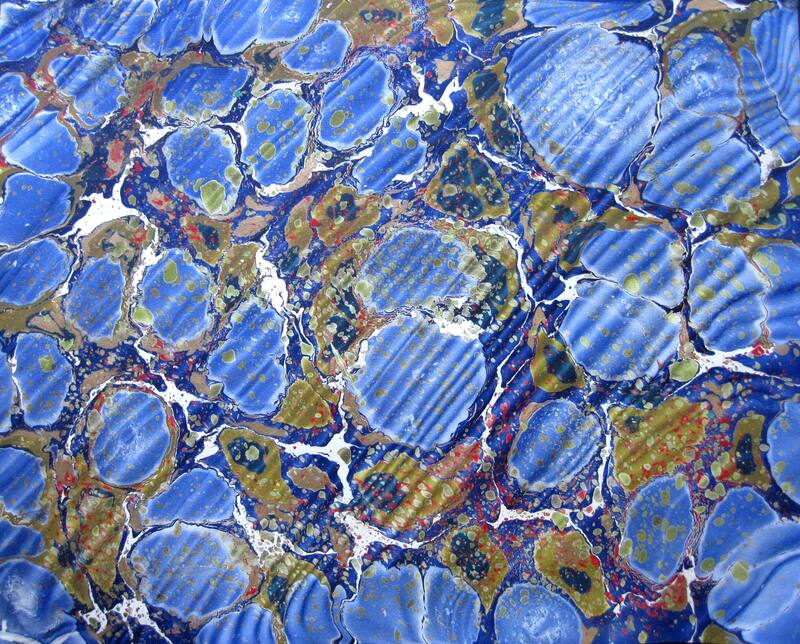 While I respect that experienced and skillful marblers (and most artists for that matter) can more easily deliver a polished, predictable result, I will always prize the alchemical moment of transference from tank to page, the uncertainty blossoming into joy as the pattern reveals itself, far more than any mastery of this art. See more Spanish wave-style papers here and other styles under the paper section of ‘work’.